Soft angles and maximum comfort, that’s Dallas. 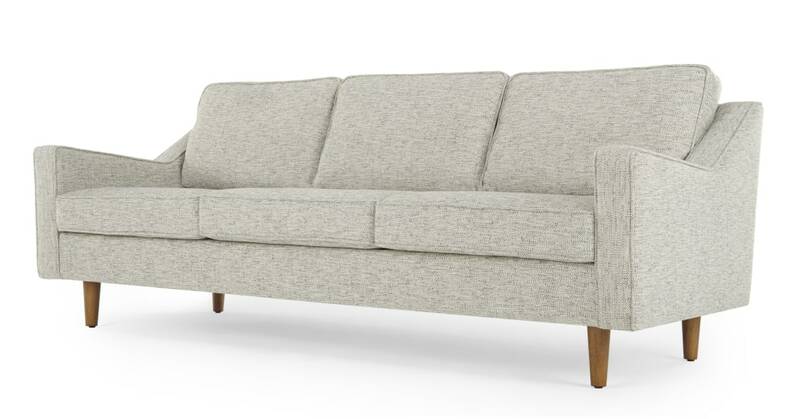 This 3 seater sofa maximises on that sink in feeling, making nights in irresistible. Upholstered with a grey basketweave fabric, Dallas’ look is a subtle nod to retro styles. Its tonal weave makes sure it stands out. Dallas has a clean, modern silhouette and slender armrests. The seat cushions are foam and feather filled, so it feels just as luxurious as it looks.